Damn it, Jim! I’m a doctor, not a historian! 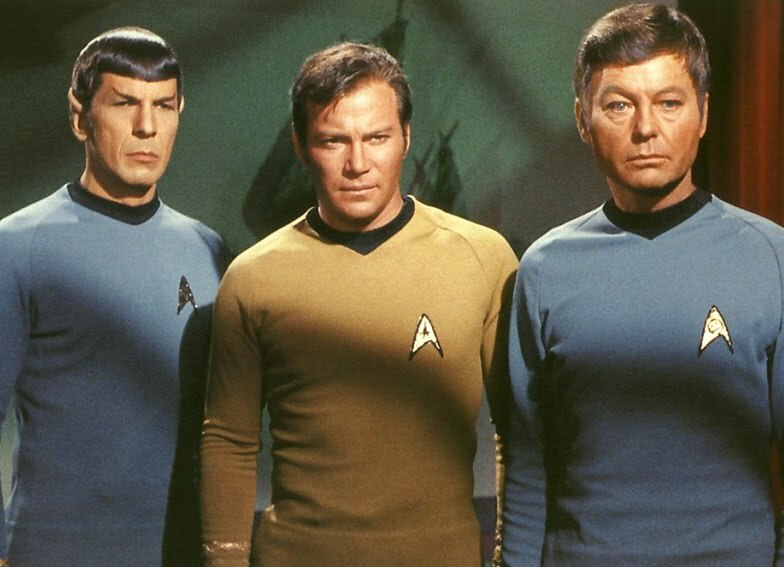 Okay, I’m neither, but here's a pretty cool bit of trivia for all of you Trekkies (I’m sorry, “Trekkers”) out there: The original Star Trek series made its NBC debut exactly 44 years ago today, on Sept. 8, 1966. The first episode that aired was “The Man Trap,” during which a shape-shifting “salt vampire” stalks the crew of the U.S.S. Enterprise. True Trekkers know that this wasn’t the first episode produced: “The Cage”—the actual pilot featuring a different captain, Christopher Pike—was deemed “too cerebral” by NBC execs. Instead, the first Trek adventure aired was a hokey-yet-fascinating monster story that encapsulated much of what fans would come to love about the kitschy sci-fi series, which would go on to spawn five spin-off shows and a whopping 11 feature films (about half of which are actually good, but that’s another story). In celebration of Trek’s ability to not only live long, but prosper (ugh, sorry), watch “The Man Trap” in its entirety on YouTube.